On November 13-14, 2018, in the city of Naberezhnye Chelny of the Republic of Tatarstan, the Fourth Machine-building Cluster Forum "Digital Information in Industry. International Experience and Russian Practice" will be held. 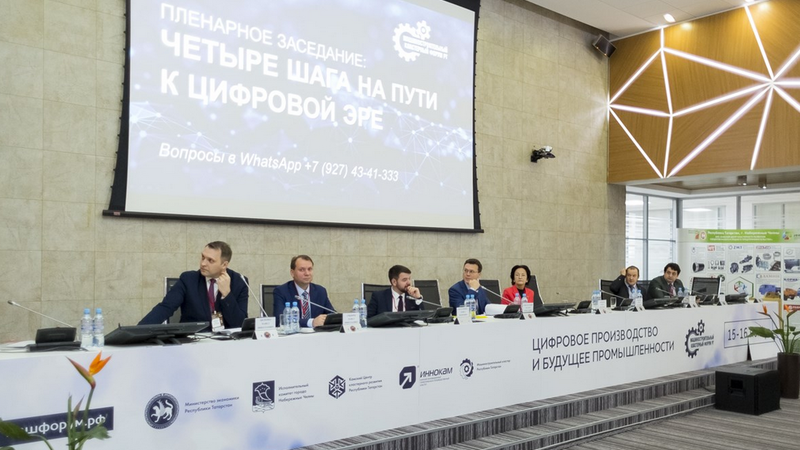 The organizers of the Forum are Tatarstan Investment Development Agency with the organizational support of the Engineering Cluster of the Republic of Tatarstan and Kama Innovation Territorial and Production Cluster "INNOKAM". "The main objective of the Forum is to transfer the best international and Russian experience of digitalization of the industry, the formation of a macro-regional strategy for the development of the engineering industry, related industries and the implementation of cooperative investment projects of the territory of Russia. The forum is for entrepreneurs, we are waiting for the colleagues from other regions. Come and visit the Forum – it will be interesting! ", – the Head of Tatarstan Investment Development Agency Taliya Minullina appeals. In 2018, the main theme of the Machine-building Cluster Forum will be international experience and Russian practice in digital transformation of industry. The event will address issues of state and non-state support of innovations and business development, subcontracting and cooperation, new markets in the sphere of robotics. Representatives of entities and municipalities, ministries and departments of the Russian Federation and foreign countries, heads of industrial enterprises, engineering centers, institutions of high education and other guests are invited to participate in the Machine-building Cluster Forum. The Forum will last for two days. During the first working day, a number of thematic events and round-table discussions will be held, where the participants will discuss the prospectives and problems of the industry, including the plenary session on "Digital transformation. Key elements in industry", round tables "State support of innovations in industry", "Digitalization of industry. Interaction between enterprises and subcontracting", "Industry 4.0: flexibility due to matrix production", "Digital solution of problems related to enterprise risk management", "Application of additive technologies for solving problems of industrial enterprises", as well as "Rostselmash" Supplier's Day. On the second day of the Forum, study visits to JSC "KAMAZ", "Cummins Kama", enterprises of Special economic zone "Alabuga" - Ford Sollers and Yelabuga storage battery enterprise", enterprises of Kama industrial park "master" – "Mersedes-Benz Trucks East" and "Mitsubishi Fuso", "KOM" group of companies, "PROFTHERMO" factory are scheduled.